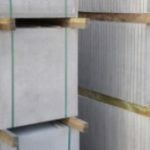 All of the grey paving slabs featured on this page are available from stock with delivery in 2-5 working days. Pressed grey slab 600x300mm 50mm thick. Pressed grey slab 600x600mm 38mm thick. Pressed grey slab 900x600mm 50mm thick. Pressed grey slab 600x600mm 50mm thick. Ideal for paving large areas our grey pressed paving slabs are available in a variety of different sizes. These slabs provide a clean level surface perfect for commercial or domestic use. Easy to install and with relatively little maintenance these grey concrete paving slabs are ideal for patios and walk ways. They provide a simple finish that looks great outside offices or commercial buildings. A cheaper alternative to decorative garden slabs, our grey paving slabs are a popular choice for those looking to pave a large industrial area. At Oakdale we pride ourselves on the quality of workmanship and the standard of health and safety guidelines followed on all our work.